Critical issues such as personal debt, planning for retirement, budgeting, and understanding financial calculations are essential knowledge for every individual. Not all of this information is covered in school, and as a result, people often learn the hard way about issues regarding savings and debt. Lifetime Training Solutions’ Financial Literacy catalog provides lessons covering important financial management concepts, such as budgeting and savings, filing income tax returns, establishing a relationship with a financial institution, and understanding credit and debt. This lesson discusses the advantages and disadvantages of short-term and long-term loans and calculation of debt-to-income ratio. Three warning signs of too much debt are also discussed. What are you looking forward to? More education? A great job? A cool car? Dreams are free but achieving them takes good planning, hard work, and money. Get a head start, learn how to manage money, understand paychecks, and learn the basics of credit and debit cards. Two teen viewers watch a financial awards show and learn the right way to manage their money. This lesson provides an overview of some of the many assistance programs available to people in need and explains how and where people in financial trouble can obtain assistance. This lesson discusses how to track where your money goes, the difference between discretionary and non-discretionary spending, and ways to redirect discretionary spending. This lesson recalls how to calculate the cost of individual items sold in bulk and items sold by “unit price” and explains how to estimate the sum cost of multiple items by rounding prices. It also discusses characteristics of value and explains how to select items based on greater value. It is not always easy to purchase the things we want. Large ticket items (televisions, washers, dryers) are especially difficult to save up for. This makes a rent-to-own option with weekly or monthly payment schedules look very appealing. Before deciding to rent-to-own though, there are important factors to take into account. This lesson will discuss the advantages, disadvantages, and things to keep in mind when considering rent-to-own. This lesson discusses the importance of using core values to govern the way individuals handle checking accounts and credit cards in order to properly to ensure financial success. This lesson describes places other than banks to cash checks and the procedure for cashing a check. This lesson discusses the different types of checking accounts and how to choose the best one for your situation. Also discussed is how to manage and reconcile a checking account as well as how to avoid overdrafting a checking account. This lesson discusses the differences between ATM, debit, and credit cards. Also discussed are the pros and cons of using ATM and debit cards and their fees. This lesson discusses the process of selecting a financial institution as well as the pros and cons of various services provided by financial institutions as well as the fees associated with these services. 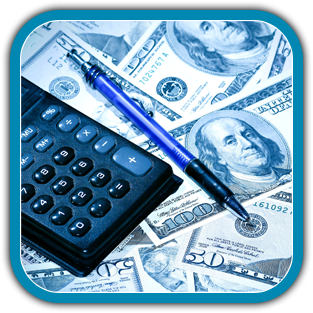 This lesson helps teens learn how to manage their money and start building financial security. This lesson also recalls how to protect current finances, establish a good credit rating, use credit responsibly, and understand paychecks and taxes. A look at investing is also offered. In this lesson, teens learn how to open and use checking and savings accounts, create a spending action plan, and discover the power of simple and compound interest. This lesson describes procedures for investing in stocks, bonds, and mutual funds. This lesson explains the correct use of money orders and offers suggestions for where to find locations that offer them. This lesson discusses the process for selecting a savings account, the purposes of savings accounts, and the advantages to choosing the right type of savings account. This lesson discusses the importance of selecting the right financial institution and managing your bank accounts. Looking for the most bang for your buck at the grocery store? Want to know the nutrition values in the aisles of your grocery store? Look no further than The Grocery Shopping Challenge! Get the inside scoop on how stores get you to spend more at the checkout. Join Megan and Josh as they venture their way through the grocery store with the same shopping list to see who gets the better nutrition value and price for eight common grocery items. Learn some tricks grocery stores use to get you to spend more and how to separate the hype from the deals so you can eat well for less. With an average of 45,000 products in the supermarket, how do you decide what items go in your grocery cart? What influences your decisions? This lesson guides consumers through the different grocery departments to help cut through the schemes to get the best value for your food dollar. Looking good does not come without a price. Keeping up with the latest styles and fashions can be expensive. However, you do not have to spend a lot to buy clothes and accessories that look like they cost a fortune. The following tips and tricks will teach you how to build a fantastic wardrobe without breaking the bank. In addition, you will learn how to make a purchase using cash or check and how to return an item that is unsatisfactory. This lesson discusses the steps you should take as part of the car-buying process, including determining what you can afford, researching the right car for you, selecting a dealer, negotiating a contract, your legal rights as a consumer, and various sources of assistance. This lesson discusses consumer rights, protection laws, and types of scams, cons, and rip-offs and how to avoid them. This lesson discusses the four different types of insurance, and instructs on how to determine your individual insurance needs. This lesson defines federal income tax responsibilities and describes actions required to meet these responsibilities. This lesson describes the types of federal taxes taken out of an individual’s paycheck as well as how to reduce the amount of taxes taken out of a paycheck. This lesson explains how to create short-term and long-term financial goals for paying off debt, making a purchase, or creating savings. It also provides information on where financial planning assistance is available. This lesson describes the basics of smart grocery shopping, including tips to find the best buys in grocery stores and ways to cut your grocery bill. In this lesson, methods for tracking and paying bills are explained, including suggestions for accurate record keeping. This lesson discusses methods for accumulating savings, describes retirement fund options, methods for preparing financially for retirement, and offers the opportunity to build a hypothetical investments portfolio. This lesson discusses credit cards and how they function. This lesson discusses the importance of a good credit report. This lesson discusses appropriate and inappropriate uses of credit. This lesson discusses the advantages and disadvantages of credit use, the debt-to-income ratio, and the importance of a credit report. This lesson discusses decision-making, shopping skills, and consumer rights. If you think "bait and switch" is a fishing tip, you have a lot to learn about advertising! Teens' eyes and ears are coveted by advertisers, but how do you make wise purchasing decisions? Maggie and Ethan shop for a bike and online for an MP3 player while learning and applying the 4 steps consumers should consider when making a purchase to make sure you're getting what you want and need. Resource management, goal setting, and the decision making process are covered.